You can try not to be charmed by the Esme collection, but with those rounded edges and angled solid-ash legs, resistance is futile. Its 1960s television design delights every time. 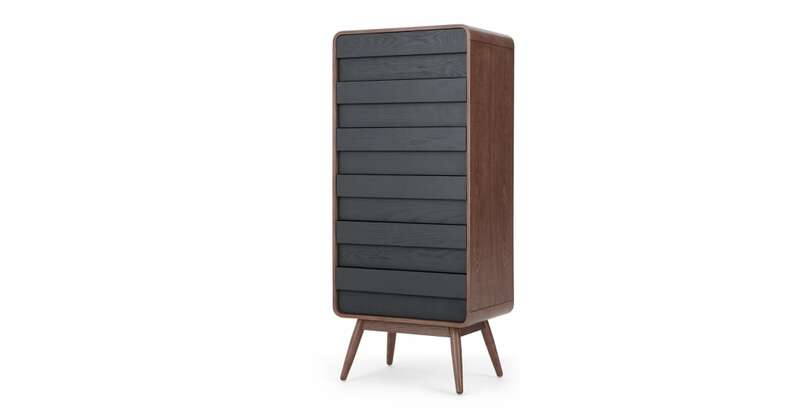 This tall chest is topped with a sleek, dark stained ash veneer. Set on tapered legs, its contrasted with grey painted push catch drawers for a retro finish.